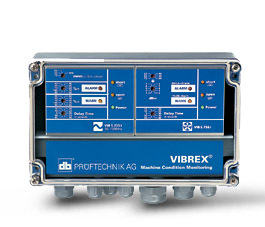 VIBREX provides a modular solution for one- or two-channel monitoring of vibration severity and rolling element bearing condition and performs automated alarm-based switching as well. Intrinsic safety (optional). Bearing monitoring: VIBREX uses the Shock Pulse technique to evaluate bearing condition. 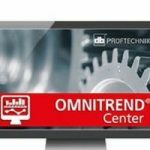 High-frequency signals indicate bearing damage long before failure so that replacement can be planned ahead of time, reducing downtime, parts and labor. Machine vibration: Modules are available for standard severity rating according to ISO guidelines – or for special applications such as gearboxes and low-speed machines.